Thousands of kids of all sizes play on swing sets and playground equipment every day. 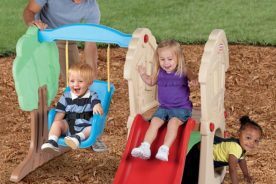 While most playsets are designed with features to keep kids safe during their playtime, it is inevitable that there will be falls and, unfortunately, sometimes injuries. According to a study conducted by the United States Consumer Product Safety Commission, approximately 51,000 injuries that occur each year involve children playing on playground equipment at their own home. Most of these injuries are due to falls to the ground and around 69% of them are because there was no protective surfacing below the playset. 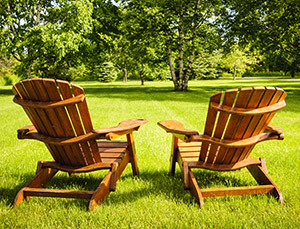 You probably spent hours researching the perfect swing set for your family. You looked for the features that everyone would enjoy, decided on the right price, and made sure it would be safe for kids of different ages and sizes. But how much time did you spend thinking about the area where the swing set would be installed? Did you think about how large the area should be? Did you consider what type of protective surfacing you would want or need to keep your kids safe while also keeping your yard aesthetically pleasing? Many people do not consider these things until after the playset is installed or even after the first injury has occurred. Below you will find some popular choices for protective surfacing materials, along with advantages and disadvantages of each. Rubber mulch is a fairly new choice of playground protective surfacing. It is typically made of recycled tires that are shredded into small chunks. Most brands are available in a variety of colors from red or blue to green, black, brown, or even yellow. It is extremely durable, non-toxic, and free of contaminants. 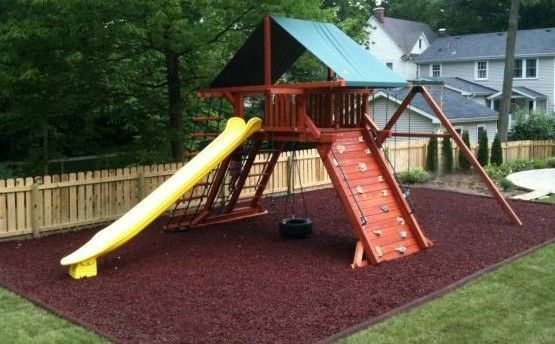 As a protective surface material for swing sets, rubber mulch is extremely shock absorbent and does not have any sharp edges or splinters that can often be found in wood products. When kids fall into it they usually walk away without even minor injuries like a bruise or scrape. It is also a popular choice because it does not break down like other materials so it does not need to replaced frequently. 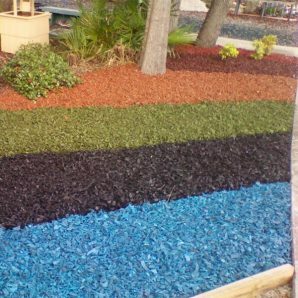 There is virtually no maintenance involved with rubber mulch other than throwing a few stray pieces back that may get caught in shoes or pockets. One major down fall of this type of mulch is that it costs quite a bit more than natural products like wood or gravel. It can also be harder to dispose of later when your kids are older and you are ready to get rid of the playset. 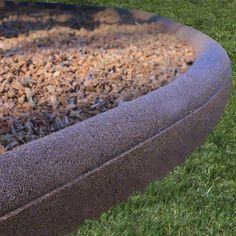 Probably the most common choice for play area protective surfacing, wood chips and shredded bark are simply small chunks of wood that have been chipped or shredded from trees. It is an all-natural material that provides a shock-absorbent and soft surface. 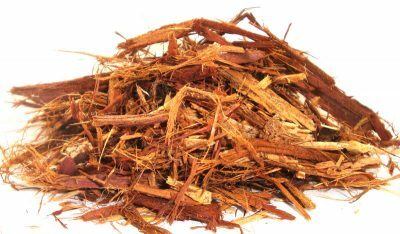 The main difference between wood chips and shredded bark is the size of its wood chunks. 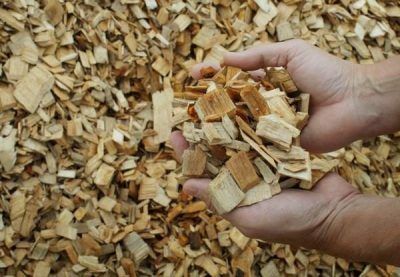 Wood chips tend to be larger and can be inconsistent in size. Shredded bark is much finer and can almost be the consistency of thick grass or straw. Both materials are environmentally friendly and easy to find at local hardware stores or lumber yards. Due to its natural properties it does break down and needs to be replenished periodically. However, its cost is much lower so replacing it does not have to be a huge expense. 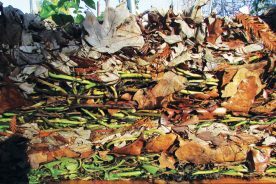 Being a natural product also makes wood chips and bark more attractive for bugs, insects, and other animals that may like to burrow into it or use it as a bathroom. While this type of surfacing does easily spread out and find its way into the surrounding grass, its consistency makes it easy to mow over. It can also be contained with some type of edging around the area. As a protective surface choice, sand does not need a lot of explanation as most everyone has had experience with sand. When choosing sand to cover your play set area you will pretty much have to go with whatever is available in your area, unless you want to pay more to have it trucked in from another location. Sand comes in a variety of coarseness from very find sand to rougher sand that is almost more gravel-like. While finer sand will definitely offer a softer landing, any type of sand at the right depth will provide protection against serious injuries. 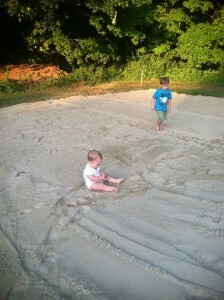 Using sand also provides the added benefit of having a large sandbox for kids to dig and build in around the play area. One precaution to keep in mind when using sand is that its surface can become extremely solid after it rains or sits unused for an extended amount of time. In order to keep it soft and shock absorbent you’ll need to maintain it by raking or having kids run around in it to work the sand up before they swing or climb above it. Also, keep in mind that to certain animals, sand looks like a giant litter box. Unless you have a fenced in backyard or foolproof method for keeping the out, you may spend some time cleaning up after them as well. 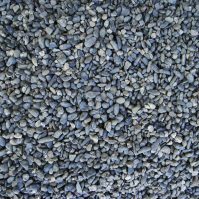 A final choice for protective surfacing is pea gravel. 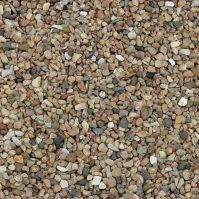 Like sand, pea gravel comes in different sizes. The size and color you get will highly depend on what is available in your area and how much you are willing to spend. 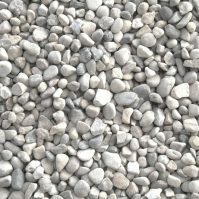 Pea gravel is a very cost-effective choice and typically does not need to be replaced often as it does not decompose like wood or bark mulch. It is not as attractive to animals as sand or wood choices either even though it is still a natural material. On the other hand, gravel is not the softest of materials to absorb a fall from a tall height. It also tends to be somewhat messy, especially when it gets wet. 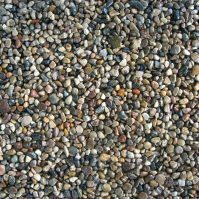 Pea gravel has also been known to find its way into shoes, pockets, and pants cuffs and then get tracked into the grass and the house. This can wreak havoc on your lawn mower or you wash machine. In order to contain gravel many people choose to edge their play area with a border such as landscaping logs or bricks. No matter which type of protective surfacing you choose you will want to make the decision based on how much you need, what is available in your area, what will fit into your budget, and how much maintenance it will require. In order to keep the play area as safe as possible for your children you will need to put the necessary time and effort into keeping it clean and maintained. It is also necessary to do some research to figure out how much of each type of surfacing you will need. Each material has its own recommendations for depth based on critical fall heights and tests done by the CPSC. It is NOT recommended to simply build your playset on grass or a dirt surface. Before installing your playset and any protective surfacing you will need to level the play area in order to make the play equipment safe for your kids. It is also a good idea to install a barrier such as landscaping fabric or plastic to keep weeds and grass from growing up into your surface material. Adding a border to the area will also help contain the material and make your playground not only a fun place to play but an aesthetically pleasing addition to your backyard as well. For more information on how much surface material your playset requires or how to prepare your backyard for swing set installation, please visit us again and watch for these topics in future blogs.